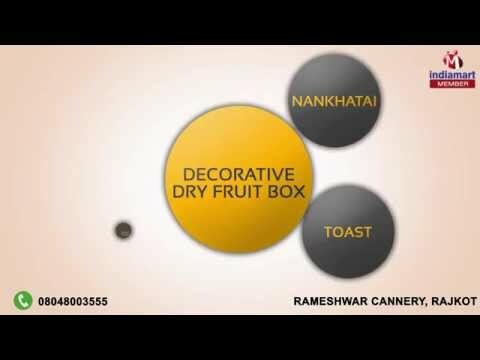 Welcome to Rameshwar Cannery, established in the year 2009, we are the trustworthy manufacturers and suppliers of this impeccable and broad range of Bakery Products. The offered assortment made up of the finest Nankhatai Biscuits, Milk Toasts and Tasty Bread, is highly admired and preferred by the customers. Processing of the offered products is done as per the set norms and guidelines by the relevant industry, taking the optimum quality ingredients in the best possible proportion. Owing to this, the array is known to have freshness, rich taste and a longer shelf life. In addition, we provide the offered bakery products at best possible market prices. We are offer our products under the brand name of Full Fresh, Rasvanti, Rangoli and White Gold. Our state-of-the-art and well equipped infrastructural facility goes through regular up-gradation, for reasons of continuing and boosting our distinct position in the industry. Offered products are made in such a production rate that we are able to cater the bulk demands of the offered products.